The only thing harder than choosing jewelry for the big day is choosing the wedding dress. In some ways, it can be even more difficult. Between “something old”, wanting to maintain relationships and still getting the perfect look, it’s hard to explain to Great Grandma Helen that you hate pearls and would die before you introduced them into your wedding wardrobe. Fortunately, you have options. Picture the jewelry you want to wear on your wedding day before you begin browsing. Do you want to wear earrings? A headpiece? Bracelets? What type of necklace do you want to wear? Should everything match? Be specific. Imagine how you want them to look. Write them down. If you can draw, create a brief sketch. Consider further. Do you want pearls? Rhinestones? A simple string of pearls? A single rhinestone? A statement piece that has every element perfectly crafted and shaped? Do you want something with a touch of color, maybe a bead representing something important to you and the groom, along with a simple rhinestone? While your style and vision may change, picturing it first can help focus the options, or wedding jewelry shopping can easily become overwhelming. One of the first things to do is call family. It saves money, often family is touched and the pieces can meet the “borrowed” or “old” requirements. Ask if they have a piece of jewelry you can borrow or keep to wear or use in your wedding. Some women have had excited grandmother’s break out whole boxes of tacky jewelry that they’ve had to sort through, so describe what you’re looking for and ask if they have it. If you are refusing an item, be gentle. When family fails, check out local jewelry stores and consignment stores. Then go online. Many jewelry stores on the web allow you to choose exactly what you want. Born in July? Want a little red birthstone to spice things up? You can add it in. To stay focused and not become overwhelmed, stick to your vision. One of the easiest ways to incorporate something old is by wearing the jewelry of a loved one, that’s been passed down for many generations. Many families have such items. They’re treasured and cared for. Jewelry often stays in style longer than clothes, especially the simpler pieces, but that doesn’t mean you love it. Using the bones of the original jewelry, you can create something unique that fits you and your personality. You can add sparkle, you can add pearls, you can add design. While it’s possible to do this yourself, some jewelry makers will gladly do it for you, for a fee. A friend might give you a wedding discount or make it part of your wedding present. 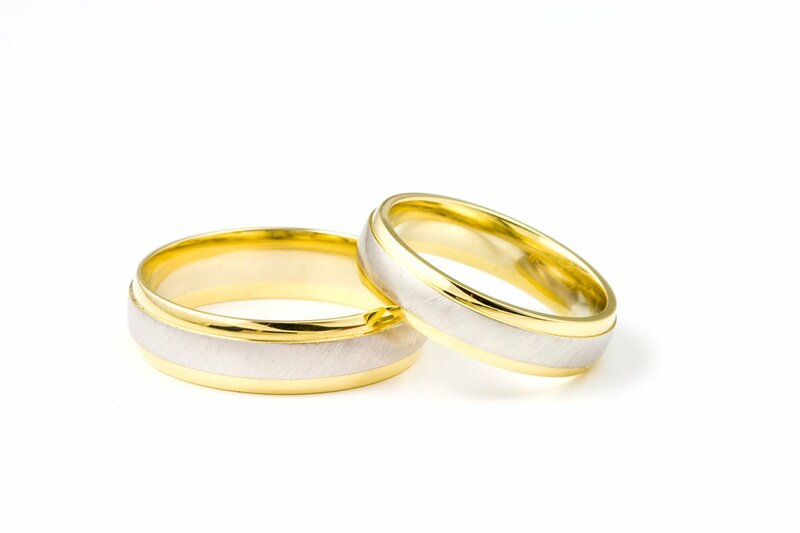 Choosing the perfect wedding jewelry doesn’t have to be traumatic. Decide what you want, then find it to create your perfect vision.